Viaduct Works, Caroline Street, Longton, Stoke-on-Trent. 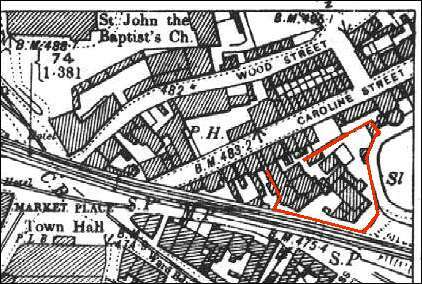 "Established in Caroline Street in about 1836. This manufactory passed into the hands of Cooper, Nixon & Co in 1863, and to Cooper & Dethick in 1876. They produced plain and printed earthenware of the ordinary kinds, and drab and other coloured bodies, both for the home and foreign markets. The mark is the initials of the firm (C & D), who continued to 1888 and were succeeded by William Cooper & Sons from 1888 to 1891"
Source: "Jewitt's Ceramic Art of Great Britain 1800-1900"